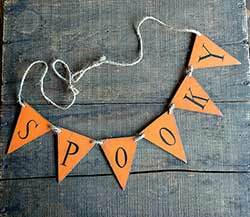 Decorate for the holidays and seasons, make a statement at a party or wedding, or jazz up a room with one of our banners, buntings, or pennant garlands! 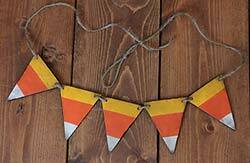 Burlap, flag bunting, and more, great for hanging on the wall or on a mantel. 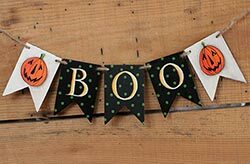 This fabric banner is made to look like slatted wood, with warm of autumnal colors. 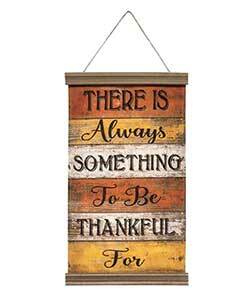 Reads: ""There is always something to be thankful for." Make a patriotic statement indoors or out with this American flag bunting. Measures 30 inches wide. 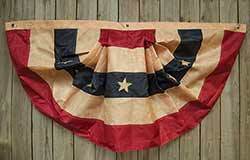 Make a patriotic statement with this patriotic Americana bunting, measuring 48 inches wide. 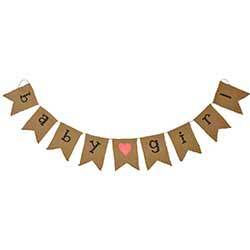 Perfect for baby shower decor, or hanging in a girl's nursery, this cotton pennant garland features black stenciled letters and a pink heart. 72 inches long. Add Americana charm to your banister, balcony, covered porch, window, or wall with patriotic bunting! 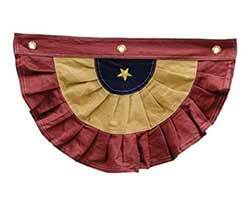 This version features a colonial inspired color palette of burgundy, gold, and navy blue, with a single star. Make a patriotic statement indoors or out with this colonial style American flag bunting. Measures 30 inches wide. 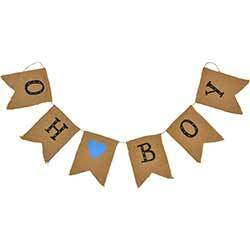 Perfect for baby shower decor, or hanging in a boy's nursery, this cotton pennant garland features black stenciled letters and a blue heart. 72 inches long. 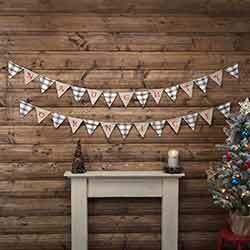 Perfect for stringing along a window, shelf, or hutch, this primitive garland features an assortment of stuffed fabric stars and burlap hearts. 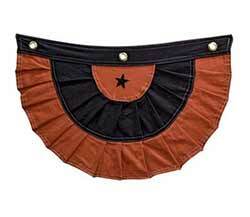 The stars feature different patterns and rusty metal jingle bells are spaced between each one. Valentine's Circle Garland, by Primitives by Kathy. This paper garland is comprised of scalloped paper circles featuring vintage Valentine images strung on a red ribbon. Each paper circle features a cream colored center with glittered border, and a printed letter, spelling out Happy Valentine's Day. An Annie Schickel design. Measures 9 feet long.